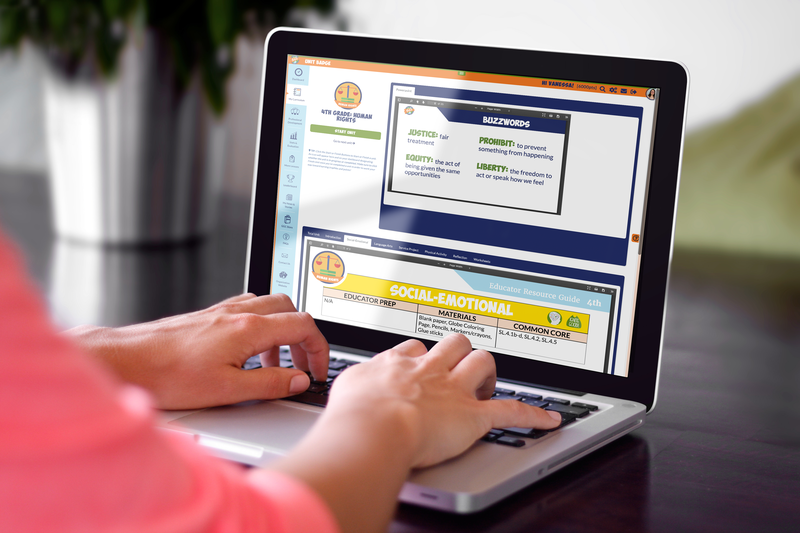 (Louisville, KY) –Global Game Changers Student Empowerment Program, a Louisville-based nonprofit is pleased to announce a brand NEW online educator platform due to a $1 Million three-year grant from Lift a Life Foundation, founded by former Yum! Brands CEO David Novak and his wife Wendy Novak. The grant provided Global Game Changers (GGC) the capacity to scale its transformational Student Empowerment Program nationally. Launched in Louisville, KY in 2013, GGC’s programming drives the mission of providing enriching educational curriculum that empowers all children to discover their inner superpower to IGNITE GOOD!® and make the world a better place. Using a unique equation: MY TALENT + MY HEART = MY SUPERPOWER® GGC teaches philanthropy as a tool to build character, leadership, and social-emotional skills in Pre-K – 5th grade students. GGC has served over 12,000 children in Louisville, KY since its founding. • Development of marketable branded support tools/products that can lead to economic sustainability for the organization and its mission. • Receive points and awards, as an educator, for engaging with our platform! GGC develops leaders and change agents. 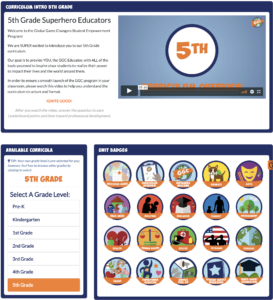 Utilizing an evidence-based free standards-compliant curriculum that focuses on building social, emotional, and leadership skills, students learn 12 different “heart badges.” Students are encouraged to cultivate their individual talents, create their superpowers, and put those superpowers into action. GGC helps educators build a positive classroom environment where students are able and prepared to learn. Ultimately, GGC gives students the opportunity – and the challenge – to be their own superheroes. 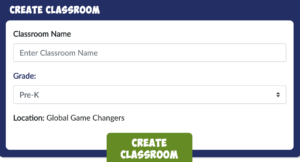 Through collaboration, technology, and investment in human capital, Global Game Changers seeks to be a catalyst for change in the education landscape of communities across the country by providing quality, consistent and sustainable learning opportunities to all children, especially our most at-risk, that will help them develop the skills that they need to succeed in school and life. The Lift a Life Foundation was established in 1999 by David and Wendy Novak. The mission of the Lift a Life Foundation is to help those in need achieve their full potential with the goal of funding innovative, high impact projects that are led by passionate leaders who are committed to outstanding execution. The foundation focuses on grant funding in the areas of student leadership development, juvenile diabetes, hunger relief, early childhood education and military family support. Since Lift a Life Foundation began, it has helped thousands of people in need through grants and programming support. David Novak is the Co-Founder, former CEO and Chairman of Yum! Brands, one of the world’s largest restaurant companies with nearly 43,500 KFC, Taco Bell and Pizza Hut restaurants in more than 135 countries and territories. A renowned expert on leadership and recognition culture, Novak is the author of three highly respected and critically acclaimed books, The Education of an Accidental CEO, The New York Times Best Seller Taking People With You as well as his latest parable, O Great One! A Little Story About The Awesome Power of Recognition. David has been recognized as “2012 CEO of the Year” by Chief Executive magazine, one of the world’s “30 Best CEOs” by Barron’s, one of the “Top People in Business” by FORTUNE and one of the “100 Best-Performing CEOs in the World” by Harvard Business Review. In April 2015, he received the prestigious 2015 Horatio Alger Award for his commitment to philanthropy and higher education and became a lifetime member of the Horatio Alger Association of Distinguished Americans. He is the recipient of the 2012 UN World Food Program Leadership Award for Yum! Brands World Hunger Relief effort that raises awareness, volunteerism and funds to address this global problem. He received the national 2008 Woodrow Wilson Award for Corporate Citizenship. He is currently the founder and CEO of the digital leadership platform, oGOLead.com. Wendy Novak is a lifelong philanthropist and volunteer. She serves on the advisory board for the Wendy Novak Diabetes Care Center. Feel free to email us at info@globalgamechangers.org if you are interested. More information will be posted soon on how to join and become a part of our GGC alliance!